The effervescent and very pregnant Cardi B. is on the cover of Rolling Stone, draped in black taffeta and the tender kiss of Offset, the father of her soon-to-be born child. 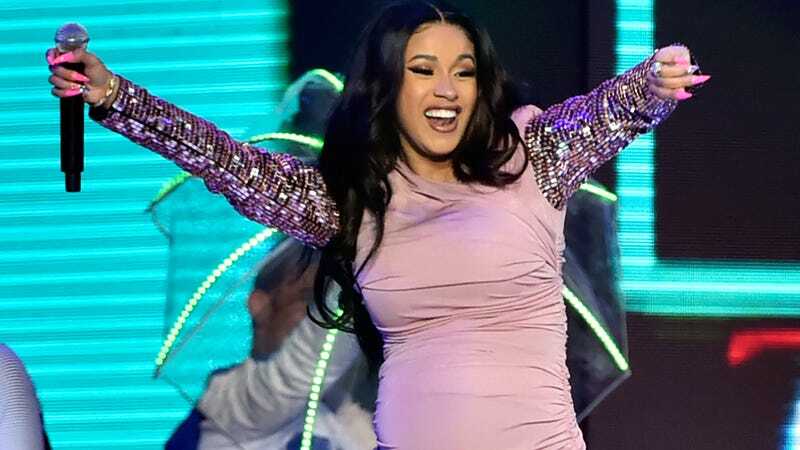 In the story, written by Vanessa Grigoriadis, Cardi discusses her impending motherhood and the kind of mother she hopes to be. Unsurprisingly, it sounds like she will be very, very good at this job. Famous people tend to have the same worries, wishes, hopes, and dreams for their children as anyone—but because Cardi’s rise to the top has been swift, she has yet to acquire the sheen of celebrity that colors the way she speaks about raising her child. Rooted in reality and with strong opinions about the way she grew up, she has many thoughts on how she’d correct for that upbringing.